Hello! What a beautiful autumn we have had this year. I love the color of the leaves and the crisp mornings and evenings. Plus, we got some much needed rain to settle the dust, clean the air, and provide irrigation for the fall crops. I truly feel blessed to live in Oregon. I have spent two wonderful months meeting with community members and leaders. I have also been meeting with community groups, school leaders, public safety officials, and city and county leaders in order to listen to the challenges that are coming up this year and next within their respective areas of expertise. School visits and a tour of the MacLaren Youth Correctional Facility were important time spent on learning about what educational experiences and programs we provide to children and teenagers in our communities, from age three to twenty-one. I cannot wait to share it all with you. National Manufacturing Day: On National Manufacturing Day, I toured Usher Manufacturing with students from Forest Grove High School. It was so interesting to see how this company measures and creates all kinds of products--everything from airplane parts to baseball bats! They also provide good paying jobs. I wanted to know what kinds of programs there were in schools that would prepare the students on this tour for a job in manufacturing, and hope that the students in attendance were inspired to pursue careers in manufacturing one day. Washington County Food Bank: I toured the Washington County Food Bank, which is a central hub that distributes food to several smaller, affiliated food banks in my district and around the county. 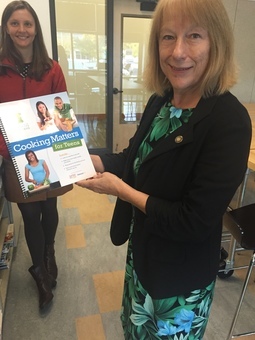 I also learned that the Washington County Food Bank does so much more, from gardening instruction to cooking classes especially catered to children, teenagers, or adults. 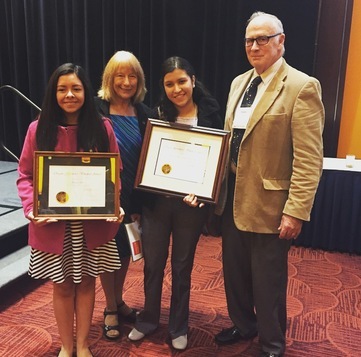 Governor's Volunteer Awards: I was pleased to help the Secretary of State, Jeanne Atkins, present the Governor’s Volunteer Awards to Region 6 Volunteer Award Winner Briana Larios, and State Level Youth Volunteer Program Award Winner, the Adelantes Mujeres Chicas Program. Such achievement deserves to be recognized, and I am so proud of each and every one of these young women. School Tour Day: As a teacher for 42 years, it was really important to me to spend a day touring some of the schools in my district. What an engaging and informative day it was! My first stop was Forest Grove High School, where I toured the Virginia Garcia school-based health clinic. I was so impressed with the extent of the care that students could receive right on campus--everything from sports physicals to mental health counseling and dental care screenings. After visiting the health clinic, I stepped inside Forest Grove High School, where I met my two student tour guides Lilly and Jonathan. Both are involved with student government and are active leaders within their school community. We visited a few different CTE (Career and Technical Education) classes including a cooking class, woods and metals class, and a digital design class. I think a well rounded high school education means introducing our students to a wide variety of interests and career paths. In their culinary arts class, for example, students were exposed to the skills that it takes to make it professionally as a chef. Preparing students for employment means exposing them to a wide variety of choices as early on as possible. I ended my time at Forest Grove High School in Mr. Trevor Tusow’s AP Psychology Class, where I talked a little bit about what a day in the life of a State Representative looks like and answered questions from the students. All around, a great visit. My next stop was at Free Orchards Elementary, where I stopped by a fourth grade and fifth grade class. In the fifth grade class, I answered a lot of questions such as, “What’s it like to be a Representative, anyway?” I hope that these students know that if they work hard and believe in themselves, they can be leaders in their communities one day. 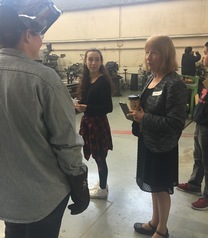 I was very interested to learn more about the CTE classes at Forest Grove High School, because I know how important they are to students and the future of our economy. 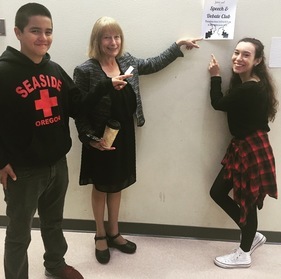 As a former Speech and Debate teacher, I was excited to see this poster for the Speech and Debate Club at Forest Grove High School and had to show my support. MacLaren Correctional Facility: I was invited to tour the MacLaren Youth Correctional Facility in Woodburn, and some of the tour guides were residents themselves! I saw the classrooms where these young men were able to access community college and university classes funded by Pell Grants, as well as a very special program where the residents could apply to help manage a dog-care facility and learn to nurture and care for dogs and puppies until adoption.The leaders of this facility were genuinely invested in the lives of their residents. I thought MacLaren was an excellent demonstration of justice and rehabilitation done right. Committees met in September during Legislative Days, and I attended four full committee meetings. In Consumer Protection, I received updates on projects that looked at different types of Online Loans. 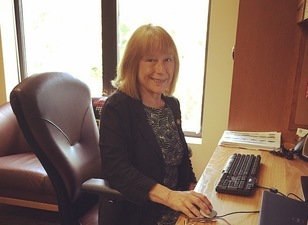 The state is concerned about citizens who are going online and receiving services from loans agencies that are doing business in Oregon, but are not licensed. The state is working with a number of Departments to protect consumers seeking these services. The Agriculture and Natural Resources Committee concentrated on a report from the summer firefighting efforts that had taken place to protect forests, homes, and communities statewide. The committee talked about forest management best practices and what we needed to do to be more proactive with forest management. We also discussed working with all property owners to carry this discussion forward. In the Education Committee (K-12), I received updates on the Dual Language Programs that are being used in different districts in the state. Both Forest Grove and Hillsboro Districts have programs. The Department of Education is looking at these programs and their effectiveness across the State. There was also an update from Deputy Superintendent of schools, Salam Noor, who discussed at length the challenges presented by educational funding, testing, and the measurement of graduation rates. I learned about two different topics in the Transportation and Economic Development Committee during September. The first one was on Transportation elements of the Oregon Resiliency Plan. The presenters really did a good job of presenting the challenges for the state on resiliency planning after a major natural disaster. Paul Mather from Oregon Department of Transportation also did a nice job presenting the first steps in building the solutions and preparedness that will be started as we plan over the next 30 to 50 years for such an event. The committee also looked at a report that gave an update of major construction projects that are in process at the present time. Back to School Coffees: I hosted not one, but two back to school coffees in September and October. Thank you to all who attended. I was able to talk about some of the things that I achieved last session and share what I am working on now. I also learned about my constituents’ real concerns--things like class size, access to affordable housing, air quality, transportation, and minimum wage--all of which I care about and will keep in mind moving into November Legislative Days and the Short Session. 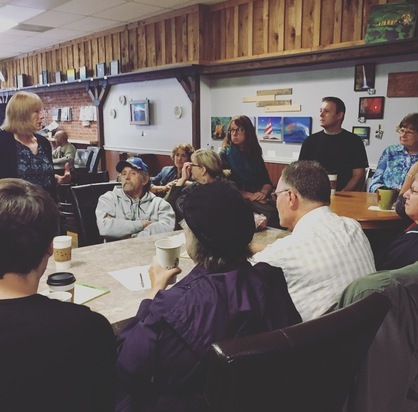 Small Business Coffee: I hosted a Small Business Coffee with Representative Joe Gallegos. We wanted to know about what concerns the employers and owners in our districts had with running their small businesses. I heard a lot with regards to transportation infrastructure and funding, regulation, and the minimum wage. My late husband was a small business owner and I know how challenging it can be! I have so much respect for our small business owners because they provide jobs and contribute so much to the positive atmosphere and culture of our communities. On Monday, November 9th, at 6:00 PM, I will be hosting an Informational Session with CASA for Children. The meeting will be located in Room 140 of the Public Service Building in Downtown Hillsboro. This is an incredible organization and I hope to see you there! On November 20th, from 4:00-5:00 PM, I will be attending a coffee with teachers in my district to discuss their concerns and what I can do in Salem to help them succeed. I’ve been working with the Agricultural Community in my district to set up a Farmers’ Coffee in December. Stay tuned for more information! In November, December, and January I will be busy getting ready for the 2016 Session. I will continue to attend events, have coffees, and go to meetings that will give me the pulse of what is important to our communities. I am happy to meet with citizens for conversation on the topics that are priorities for you, your families or business concerns. Let me know what you are thinking and feeling about the needs in Forest Grove, Cornelius or Hillsboro. I look forward to seeing you or hearing from you in the coming months. I hope your Thanksgiving Holiday provides you with time to enjoy, family and friends! Happy Thanksgiving!